Aventura is a Guard Gated Summerlin neighborhood with ALL Single Story Homes in The Canyons Village. One street of homes backs up to a walking trail, and another street of homes have TPC Canyons golf course frontage. Floor plans are spacious, innovative, and architecturally stunning. 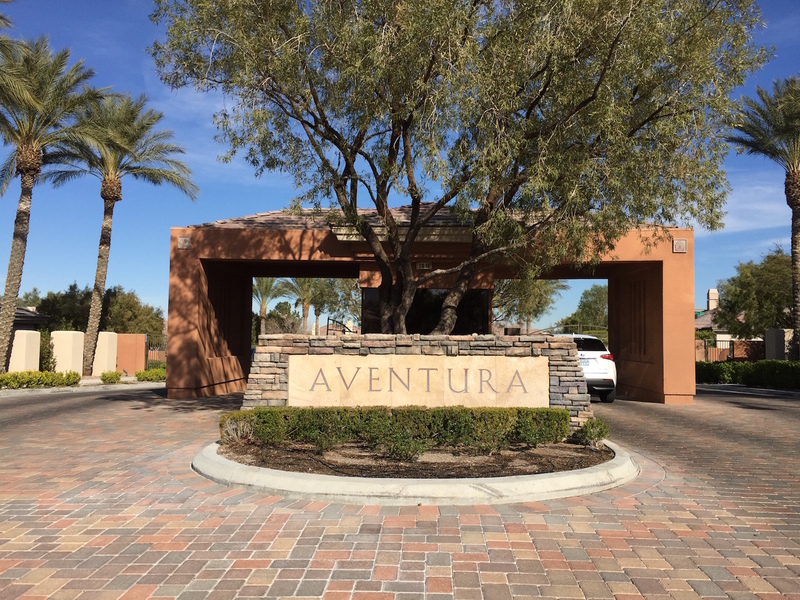 Aventura shares a similar location with other Las Vegas luxury neighborhoods nearby such as Canyon Fairways, Mira Villa & The Palisades – all part of the Canyons Village of Summerlin, in the 89144 zip code. Residents love the easy access to Tivoli Village, Downtown Summerlin, & Red Rock Resort where dining and shopping and spa options are plentiful. Aventura HOA Dues are $390/M + $47/M. Connect With The Stark Team for Your Summerlin Luxury Real Estate Needs. Below You Will Find All Aventura Guard Gated Homes For Sale in Summerlin’s Canyon’s Village. Not much for sale in Aventura?